When your promoting things, only the best of the best pictures will do… But there are still a lot of awesome memories in the pictures that don’t make the cut!! 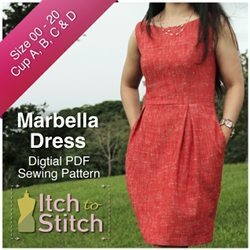 Yesterday, I posted about the Marbella Dress (affiliate link) and last week about the Queen Street Dress. Both of those photoshoots took place at the same time. My neighbor’s little girl was the beautiful model for the Queen Street Dress so we met them downtown after work on a Monday and took some pictures of her before they went to eat. Then we took the pictures of the Marbella dress while we walked around downtown. If you regularly read my blog, you may know that Molly doesn’t love having her picture taken. Well, this time of course, when we were trying to get pictures of someone else, she wouldn’t get out of the frame!! Ed had to do some very artful photographing to not get her in every picture… with his phone in her hands non the less (she was watching Frozen). As I said before, after they went to dinner, we wondered the streets of downtown and took the Marbella Dress pictures. During our wonder through downtown, we unintentionally completely intentionally ended up at a gelato shop.